What is the Top Knobs Design Board? The Top Knobs Design Board is a community of designers who are interested in receiving information and samples of new products and promotions from Top Knobs. In exchange for your information, we will send you monthly updates and opportunities to review. We will never sell or share this information. And we will send you a badge that you can place on your site to signify your membership in our community. Being a member is not an endorsement of our products. 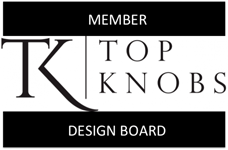 You are under no obligation to buy from Top Knobs or to receive samples to review online unless you opt-in to do so upon receiving a notice from our monthly newsletter. We hope that this relationship will become a two-way street over time and that you can help to influence our message, brand and products. 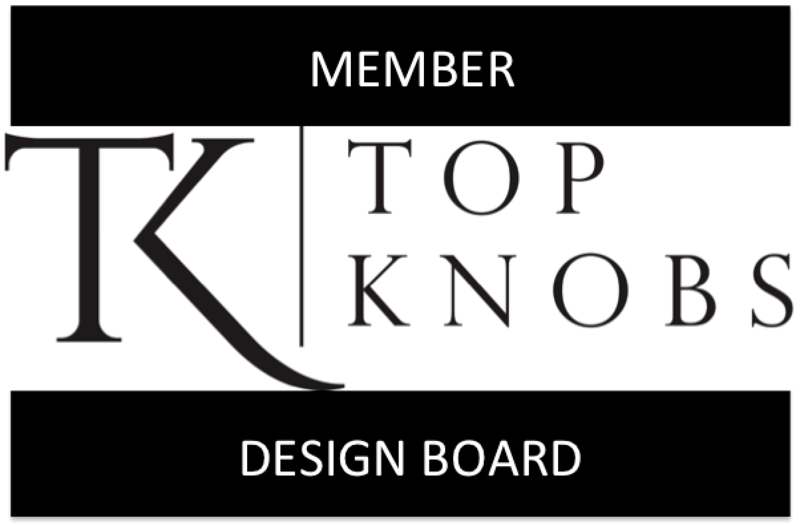 It’s called a Design Board partly because of the Top Knobs boards that designers carry in their showrooms. But also because we feel this will become a “sounding board” for inspiration, ideas and more. How does a designer join? Any designer is invited to participate as long as you are an active design professional. When you are approved for the community, you will receive our monthly newsletter filled with opportunities and also a badge signifying your membership. To apply, please fill in the information below. For questions, please email us here.